Borathor Max PT is a termiticide, insecticide and fungicide for use in the prevention and control of subterranean termites (including Formosan), drywood termites, Carpenter ants, listed wood infesting beetles, fungi (rot), algae and listed general household pests. For use in and around homes, apartments, garages, museums, public and private Institutions, schools, hotels, hospitals, kennels, stables, farm buildings, trucks, trailers, warehouses and non-food areas of supermarkets, restaurants and food processing plants. Sold in 1 gallon size. 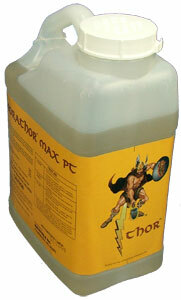 Would you like to see the Borathor Max PT Label & MSDS?